Memberships: Here you see to which institution(s) you belong. 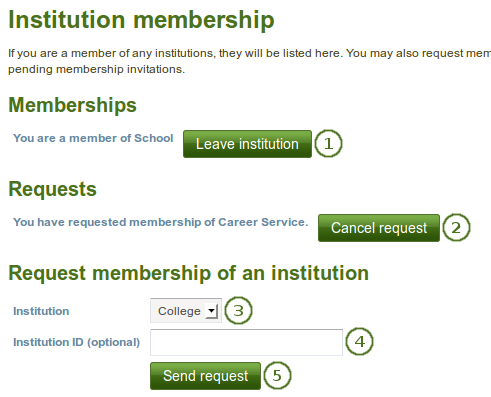 Click the Leave institution button to remove yourself from an institution. If you do not see this button next to an institution, you cannot remove yourself but must ask an institution administrator to do so.